Even though I love using picture books in my classroom, board books are generally not on my radar since they're usually too simplistic for my middle schoolers. 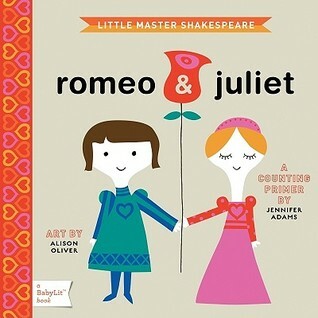 But I was recently asked if I'd be interested in reviewing the newest titles in the Baby Lit® series and the idea behind these books intrigued me: take some of the well-known elements and symbols from some of the most beloved classic literature and turn them into board books for babies. As someone who struggled through classics in high school and college, I was curious at how these stories would translate to board books, but somehow they manage to not only work, they're also downright adorable! 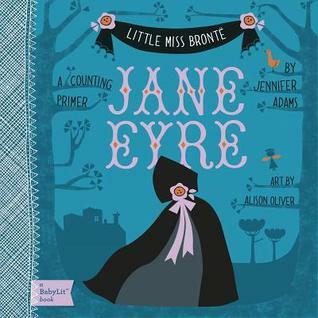 The first two books in the series (Romeo & Juliet and Pride & Prejudice) along with one of the newest titles, Jane Eyre, are counting primers. But the other newest title that just came out this month, Alice in Wonderland, is a colors primer and is by far my favorite of the two I received for review (the other one I received was Jane Eyre). Each page in this colors primer is an element that was important to the story: white rabbit, blue caterpillar, red hearts, green frog, etc. 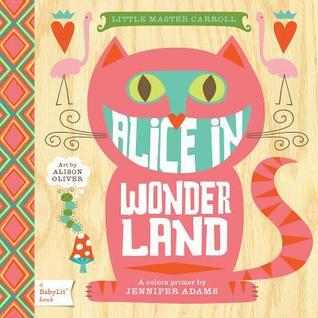 so as a child gets older, you can start introducing him or her to the actual story of Alice's Adventures in Wonderland and remind them of the board book they read when they were younger. Another reason I like the Alice in Wonderland board book the best is because the original book already appeals to children due to the fact that the protagonist is a young girl, so it's more of a natrual transition for kids to go from hearing their parents read them a board book, to having them read the original Alice's Adventure's in Wonderland by Lewis Carroll. 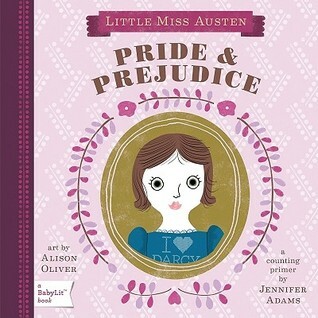 I foresee these books being a great baby shower gift for the very erudite and literary parents-to-be. Get those kids started early! These books are also offered as apps on iTunes. this sounds like a really great idea. i'll have to check them out.